Beautiful song. 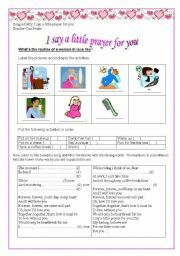 You can work daily routines, practice some listening skills and if available show a video clip of the movie "My best friend´s wedding" where they sing it. 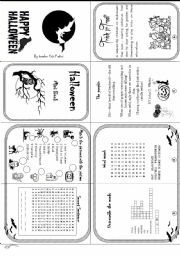 This is a mini book about Halloween. I hope you enjoy. If you download it, please leave me a comment and make me smile. Thanks for "Dedicated teacher" for the template. 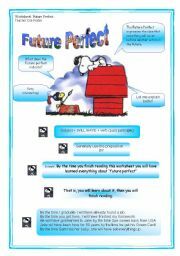 Check it out at http://www.eslprintables.com/printable.asp?id=383379#thetop Also check out my mini books about Present perfect and Future. A classical. Work with some simple past tense. 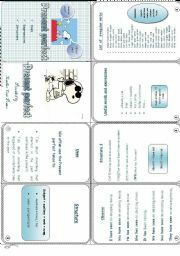 This is a mini book about the present perfect tense. I hope you find it useful. 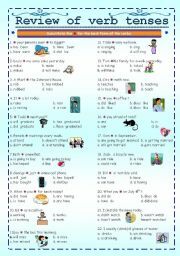 There is basic information on it as strucuteres and most common verbs. 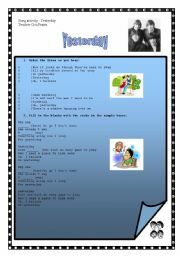 Thanks to "dedicatedteacher" for the layout. 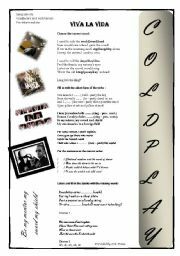 You can also find it on http://www.eslprintables.com/printable.asp?id=375305#thetop If you download it, please leave me a comment and make me smile. 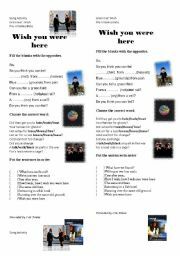 A worksheet I handed my students in order to review all verb tenses learned this semester. I hope you enjoy. Some explanations and exercises about future perfect. I hope it´s useful. My students have requested this song as we´re studying "wish". Varied activities required. The sheet is supposed to be splitted so you can save paper. I hope it´s useful. 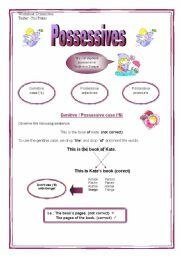 Some explanation and a few exercises about possessive case, adjectives and pronouns. I do hope it´s useful. A beautiful song to be praticed with students of all levels. There´s a variety of activities to be done as they listen. I hope it´s useful. Watch an excerpt of the movie "Working Girl" as a complemtent for a class about meetings and presentations. The excerpt refers to Tess first time leading a meeting.